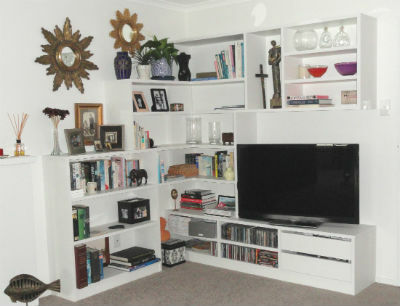 We contacted Wendy and Jeff for storage advice regarding two bedroom wardrobes and a hallway cupboard. They were very willing to listen to what our needs were and also highlighted some points that we hadn't thought about. The designs were emailed to us for review and any alterations made accordingly. We wanted handles which weren't from their usual stock and it was no problem for them to be ordered. They were punctual with appointment dates and times. They were accurate with their estimated time of manufacture. We couldn't afford all the cupboards at once so each was quoted separately. Over the following year they were made and fitted as we could afford. The service we received was great and the end products have been very satisfactory. 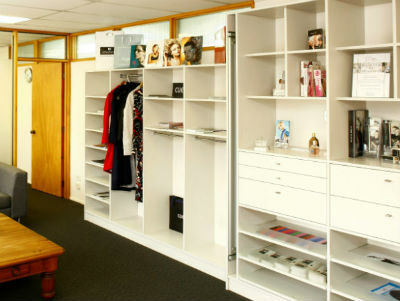 Despite there being other cheaper products available, we feel the quality of these wardrobes is superior. The money spent was worth it to have an individualised product, which maximises the space available and will look good for many years to come. We still have an office to upgrade so at some point we will be back. 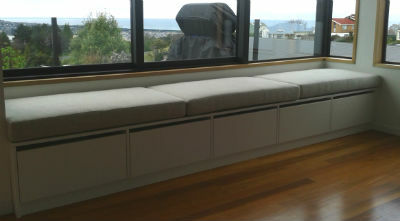 Really pleased with the window seat - great design and workmanship...! Wendy and Jeff are a fabulous team to work with. 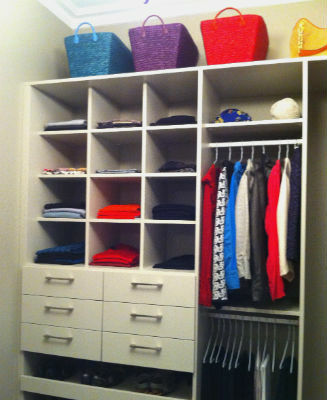 Wendy designed our practical yet stylish Walk in Wardrobe and Jeff installed the quality product. Throughout the process communication was open, precise and clear and timelines were strictly adhered to. We have chosen to use Wendy and Jeff again to build a bookcase for our lounge. We were thrilled with what Wendy and her team at Wardrobes and More did for us in our master bedroom. They took our thoughts and turned them into a highly practical, well thought out wardrobe system that really works. Their experience showed in the way they applied our ideas, and their suggestions, like the flocked jewellery drawers and compartments for belts and ties have been a huge success. They made the whole process easy, fun, and hassle free. If you're wondering what to do with your wardrobe then I recommend you call Wardrobes and More - then sit back and watch them create something truly special. From a stylists point of view the true functionality of a wardobe evolves around making sure your clothing is easy to co-ordinate so you are able to put your hands on what you need when you need it. So layout is key and most efficient use of space is helpful. 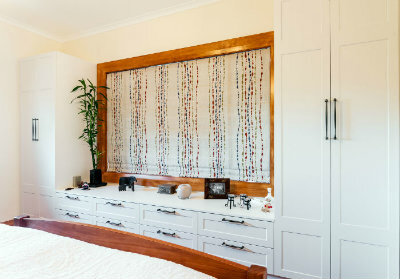 These wardrobes cater fantastically for all clothing items right down to your accessories, and a pull out full length mirror is ideal for ensuring the result is as you wish. 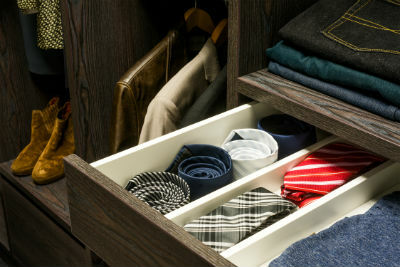 Jeff and Wendy have great vision to create a functional yet stylish wardrobe combination to meet your needs. The quality of their product is excellent and their proffessional service makes the process so easy.